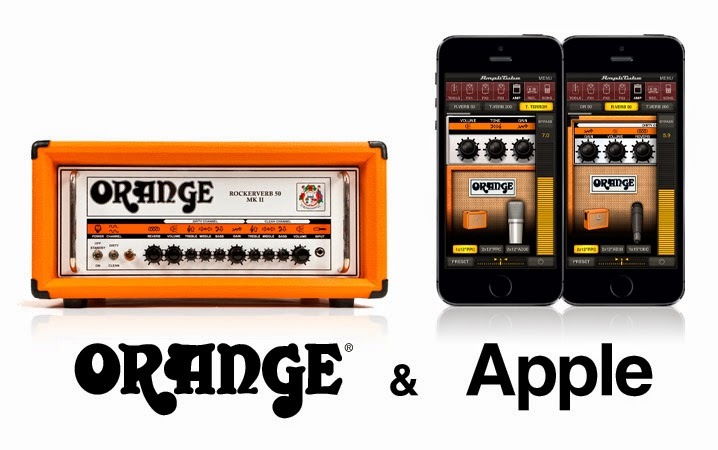 Orange and Apple: Orange® Amps make their debut on Apple mobile devices. Now guitar and bass players can rock with the unmistakable tone of Orange everywhere they go. IK Multimedia, the leader in mobile music-creation apps and accessories for iOS devices, is pleased to announce a new iPhone, iPad and iPod touch app that will delight Orange Amplifier fanatics around the globe: AmpliTube Orange for iPhone/iPod touch and AmpliTube Orange for iPad. Officially licensed and developed in close partnership with Orange Amps, AmpliTube Orange is a real time mobile Orange Amplifier and effects studio featuring digital models of 5 classic and modern Orange guitar amplifiers and one Orange bass amplifier. Each amp and cab model has been meticulously recreated in both looks and sound to deliver spot-on Orange tone any time, everywhere.